The floating key was enabled by SparxSystems to provide a small amount of licenses to a big group of users. E.g. a team with 10 people where only 5 users will use Enterprise Architect at the same time need only 5 floating keys in the keystore file. 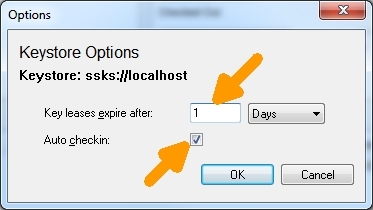 You can set the expiration of the key. i.e. when someone “checks out” a key this key will be locked for the user for X days/weeks. Pro: You can run Enterprise Architect without access to the company LAN (Keystore File) when you previously “checked out” the key. Con: Only after expiration of the „lease time“, respective after returning the key “by hand” no other user can use this key. 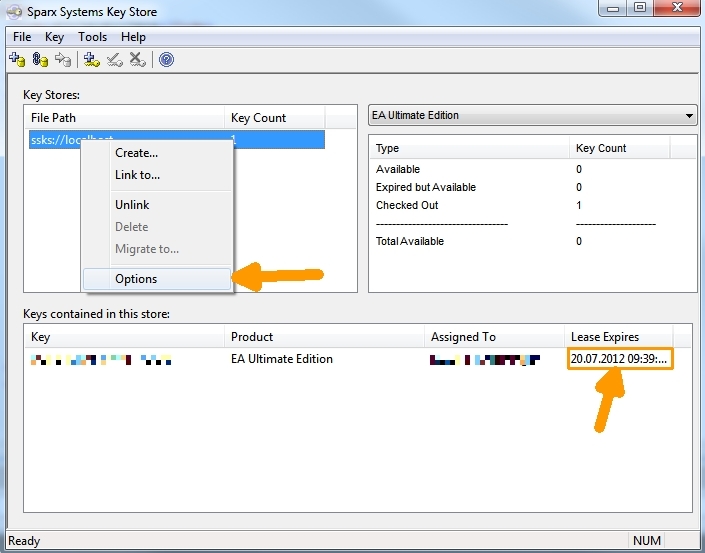 When a user closes the EA the will be automatically returned to the keystore file (checked in). Pro: Since the key is automatically returned it’s free for another user. Con: Without access to the company LAN (Keystore file) no Enterprise Architect.